The study is aimed at describing various aspects of the context that influence interpretation of a Russian prohibitive construction Noun-Dat.Pl + нeльзя ‘should not’ + Verb-Inf. For this the data of the corpus “Russian Web 2011” (15.8 billion words) were used: the queries for several most frequent nouns encoding gender roles (women, men, girls, boys, mothers, fathers, wives, husbands) are analyzed. The study showed that for different cases different degree of broadness for the context is important. Firstly, it is syntactic features of the construction (the elements it consists of and the word order). Secondly, it is the semantic-syntactic features (the semantic role of the dative argument and the meaning of the infinitive). Thirdly, it is the surrounding elements within the sentence or the neighboring sentences. 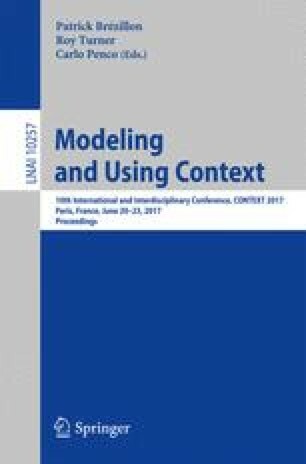 However, in many cases an even broader cognitive and cultural context plays a significant role, thus, one should also pay attention to the topical domain of prohibitions and how the topics are related to the social role expectations existing as background knowledge shared by the members of a community. The research is supported by the Russian Science Foundation (RSF), project # 14-18-02070 «Everyday Russian Language in Different Social Groups».